In this sequel to Future Leaders of Nowhere, Finn and Willa come home from camp to find everything is different. Even as they grow more sure of their feelings for each other, everything around them feels less certain. When Finn gets involved in a new community project, she’s forced to question where her priorities lie at school. Meanwhile, her dad has moved interstate, her mother is miserable, and her home feels like a ghost town. Willa’s discovering how to navigate the terrains of romance and new school friendships when an accident at home reminds her just how tenuous her family situation is. Suddenly, even with her dad in town, she’s shouldering more responsibility than ever. As they try to navigate these new worlds together, Finn’s learning she has to figure out what she wants, and Willa how to ask for what she needs. This is going to be a difficult book review to write as I enjoyed the experience of reading this book so much if I try to analyze or critique this I will sound like I am under the employ of the author. She describes the emotions and thoughts of the characters so well one feels them to be friends or at the very least known. This includes the minor characters to a lesser degree as well. The two young women’s joy is our joy and their individual issues of being intelligent people, learned but without the years of wisdom orf knowing all of the rules of ‘adult society’ are keenly felt. The story is a continuation of the author’s “Future Leaders of Nowhere” which had Finn meet Willa as rivals who fell for each other. 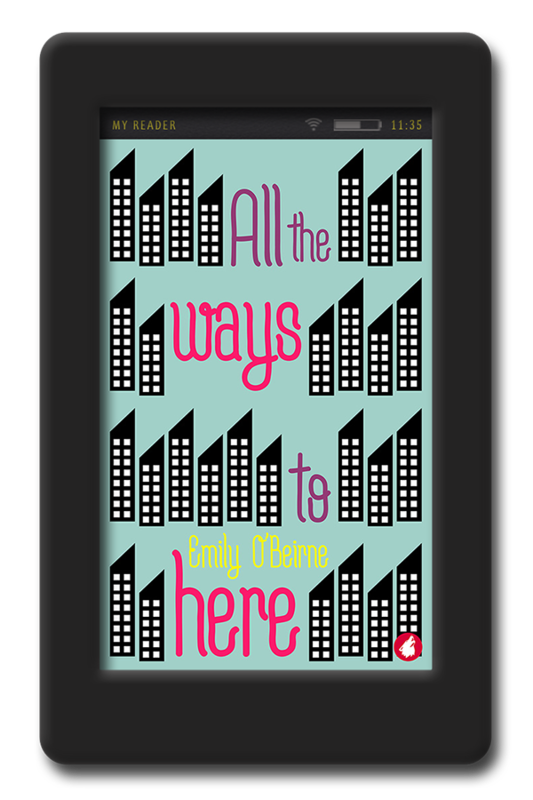 In “All the Ways to Here” there is a continuation and emotional deepening of the relationship. Both girls have to contend with wrenching family issues at the same time being stellar students and ‘leaders of somewhere’. Willa and Finn meet each other’s friends and family and seemed so perfect in their way of an introvert being paired with an extrovert, both quite intelligent and quick. What is interesting, to me at least, is how I identified with Willa throughout the story. So normally I don’t enjoy sequels. I loved this one and could follow this couple, Willa and Finn, on until they were my age. It could be an entire set like a shelf full of Nancy Drew mysteries. Read this book. I have been really looking forward to this sequel. I guess I got my hopes a little too high as I felt it wasn’t as good as the first one. But it was still good and worth waiting for. Both Willa and Finn have returned home from camp and now have to face up to the events of real life. Willa with new responsibilities and Finn with her impending parents separation. A lot to deal with for kids anywhere. But the question is can they maintain there budding relationship amongst all that is going on. I like O’Beirne a lot. She definitely talks the talk of teenagers. she appears to get them. Which in my opinion makes the book more authentic. Teenagers aren’t predictable in life but O’Beirne seems to capture them on paper. Somehow I don’t think our journey with Willa and Finn is finished. There are some unfinished issues that I would not want to guess the outcome. It is a good read, one that will make you ask a few questions. These two girls are extremely intelligent which to me adds to the mix of teenagers. Seems intelligence brings a lot of issues too. If you do read this I would strongly advise you read book 1 first. If you don’t a lot will not make sense. Enjoy! 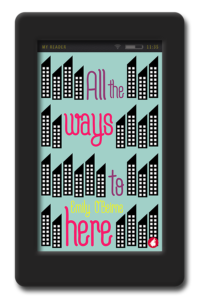 I’m an avid fan of Emily O’Beirne and All the Ways to Here does not disappoint. This sequel to Future Leaders of Nowhere continues the trend of having its central conflicts stem from things other than the fact that Finn and Willa are girlfriends. It’s refreshing to read a story where the relationship between two girls is their port in the storm instead of being the storm itself. There is relationship-related anxiety, of course, but the girls work through it in ways innate to their individual strong personalities. I won’t say much more because I don’t want to spoil anything for potential readers, but I highly recommend this book, especially to wlw who are or were overachievers as teens. Teen me would’ve been so excited that she would’ve gone knocking on doors to tell people about All the Ways to Here and this is current me’s version of that.